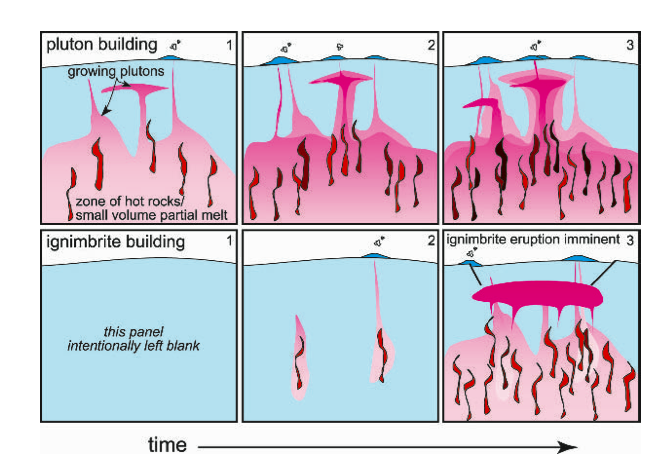 Active magma intrusion in the Andes? PLUTONS is studying Uturuncu and Lazufre of South America to better understand two areas of active surface uplift that may be related to supervolcanos. 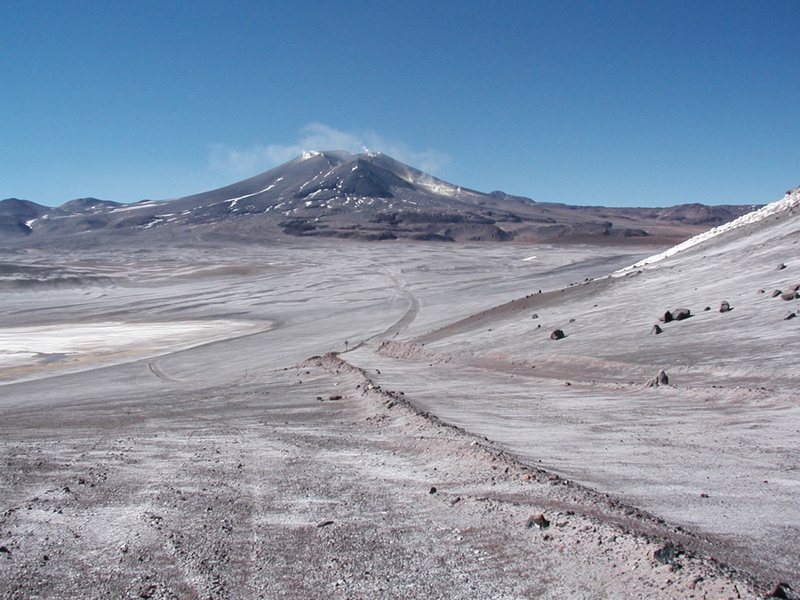 Uturuncu volcano in Bolivia is the primary target because of its location -- close to past supervolcanic eruptions. Photo from Tom Fournier. 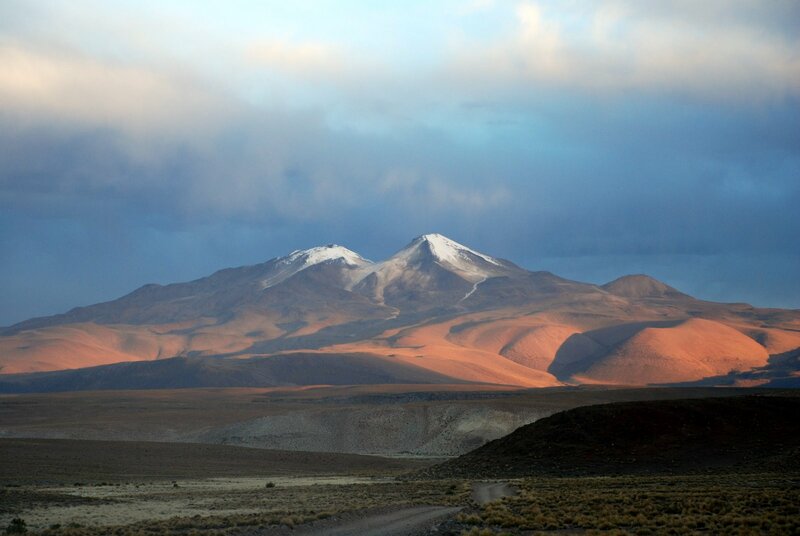 Lazufre is an area of uplift between Lastarria volcano (shown in photo) and Cordon del Azufre on the Chile-Argentina border. This is the secondary target. Photo from Matt Pritchard. In the past millions of years, there have been several supervolcanic eruptions. 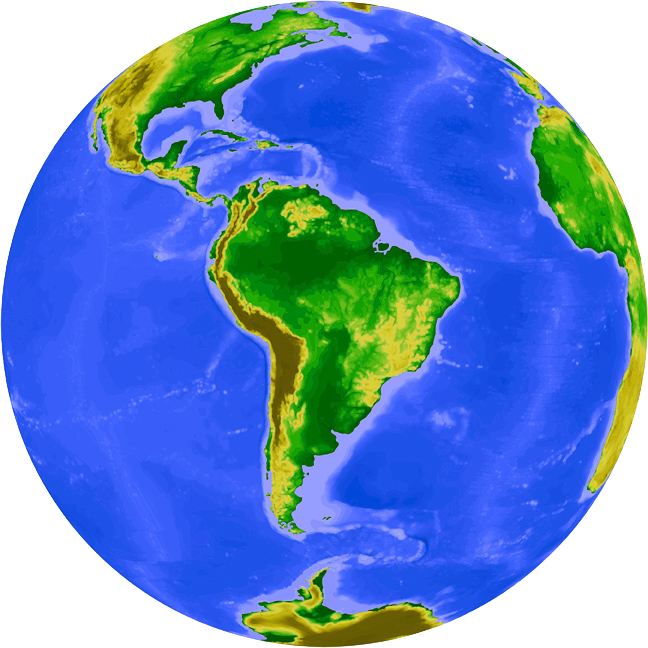 One active region is located in Altiplano region of the Andes. (As shown in the map on the Study Areas page). The last supervolcano to erupt on Earth was 26,000 years ago at Taupo Caldera in New Zealand. Due to the infrequency of these eruptions, it is currently not possible to predict when the next one will occur. Members of the PLUTONS project are studying the supervolcanos, so that they can increase the knowledge about them and someday hopefully be able to predict when the next eruption will happen. Supervolcanos are rare events, but they are something worth studying. 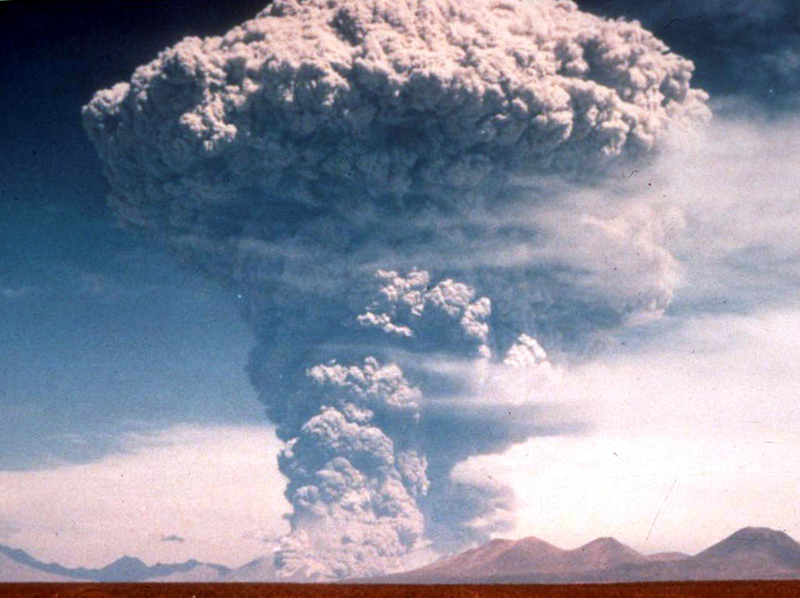 If a supervolcanic eruption were to occur, it could create global catastrophe. It's not suggested to ring the alarms and issue warnings in order to evacuate regions with possible supervolcanos. It is a new topic that needs to be studied in order to increase our knowledge of these events that have yet to be witnessed (and let's hope that we don't either). That is why PLUTONS is taking on the task of understanding the supervolcanos. How long has the magma accumulation been going on? What have been the rates of intrusion and eruption over the past thousands-millions of years? What is the subsurface magma geometry? Is there a shallow magma chamber? Stacked magma chambers, a large “tank”, or mid-crustal sill? Are Uturuncu and Lazufre more related to the arc volcanoes or the ignimbrite-forming eruptions? Will the magma eventually erupt? How big? How soon?